Influence: the capacity to have an effect on the character, development, or behavior of someone or something. One day, I was trying to turn around a median in an unfamiliar area, when I realized I had gone the wrong way around the median. The worst thing was is that three cars were following me! 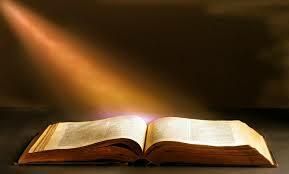 That is the way our lives are: our lives are like a book that is read by others, making a huge impact for good or bad. My Dad used to constantly remind us of the importance of using our influence for good, and he used to tell us that you will never realize how many lives you have impacted for good or bad just by your example. One of the criteria I always told my children to look for when choosing a friend or dating someone is whether the person made them a better person, as well as if they made the other person a better person by being in their life. That is something I want in my marriage: to make my husband a better person by me being in his life, and to let him make me a better person because he is in my life! I want people to think about me and think they were better because I was in their lives, not worse! I am keenly aware that my influence in the lives of others is a very powerful force, and I really work on making sure that my influence makes this world a more beautiful, exciting, fun, and appreciated place. Did you realize that we are going to give account for the stewardship of the time, talents and money God has given us and how we spent it? Particularly how you impacted and influenced the lives of others. Actually I LOVE the Greek word for “wicked” (when it tells us to put the wicked away from us) actually means harmful in effect or influence. That is who is wicked to God: someone who is influencing others for things that will be bad for them. We always made a big deal about influence in our family. I showed the older ones many examples of how the younger ones followed after them; emphasizing the importance of every little thing we did when others' eyes are on us. Remember that you are always an example, for good or bad, to others that we influence, sometimes even when we don’t realize they are influencing others. Embed in your hearts and minds the realization that what we do and how we behave impacts the world around us. Challenge: What do others say about your influence in their lives? When you are around do you pull greatness from others, or assist and encourage them to do things that are zero impact or even a negative in their lives? When people look back at times spent with you, will they remember that you made their lives better or worse? Use your influence for good! Make a positive difference wherever you go and with whomever you come in contact with! Make the world a better place because you are in it, and start with those closest to you! Not only will your life make a difference in the lives of others and your own life too, but the things you do will not be burned away when the fire tests what you spent your efforts on!